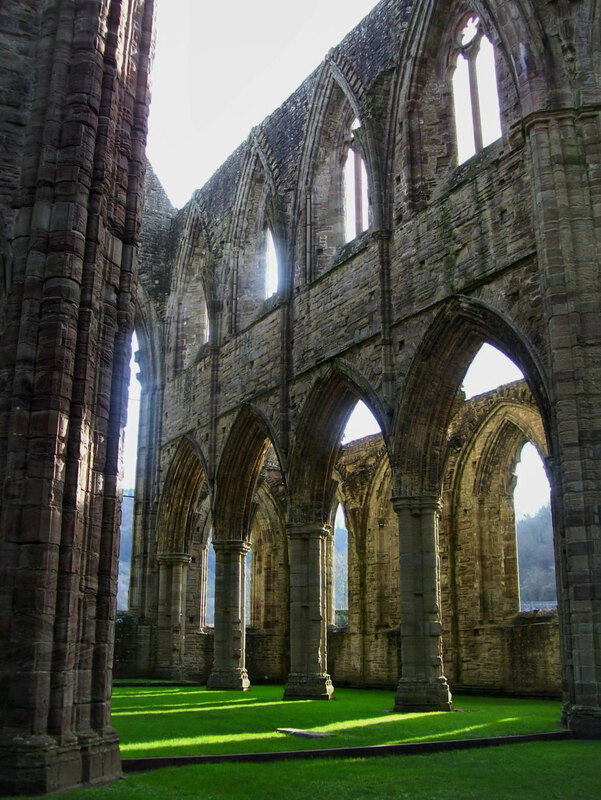 Hauntingly beautiful, the ruined abbeys of England, Scotland, and Wales stand majestically defiant against the elements—a reminder of a medieval past governed by work, study, and prayer. 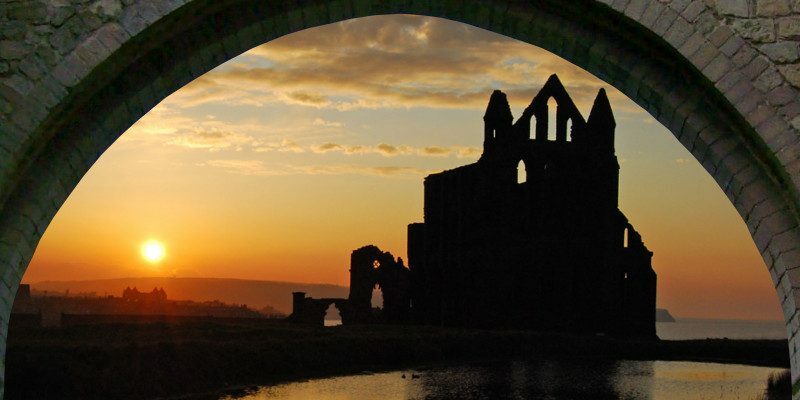 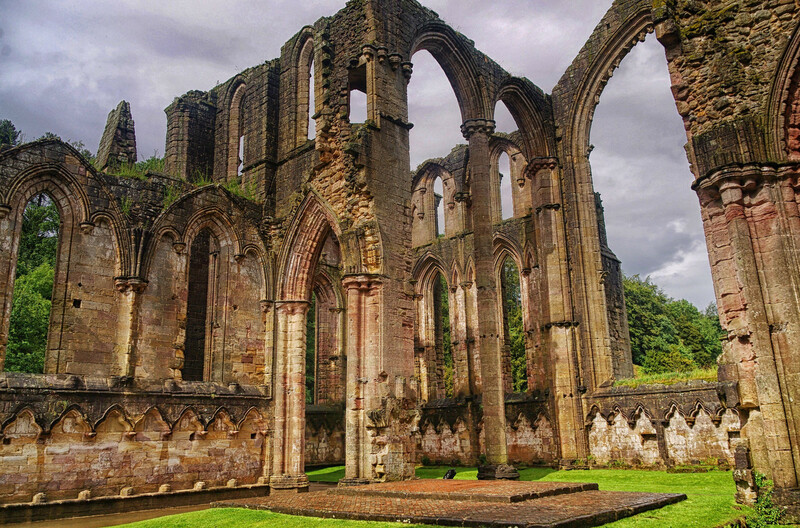 Here’s our list of 10 of the best medieval abbey ruins in Britain. 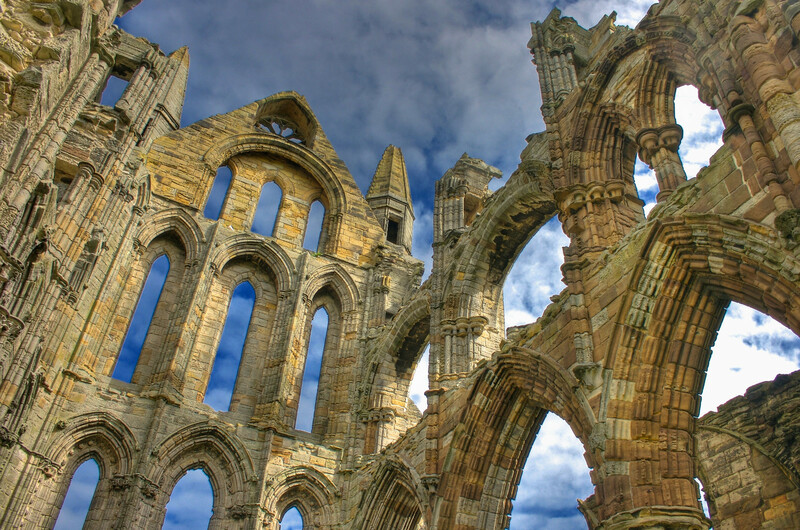 Overlooking the North Sea on the East Cliff above Whitby in North Yorkshire, England sits the ruined Whitby Abbey. 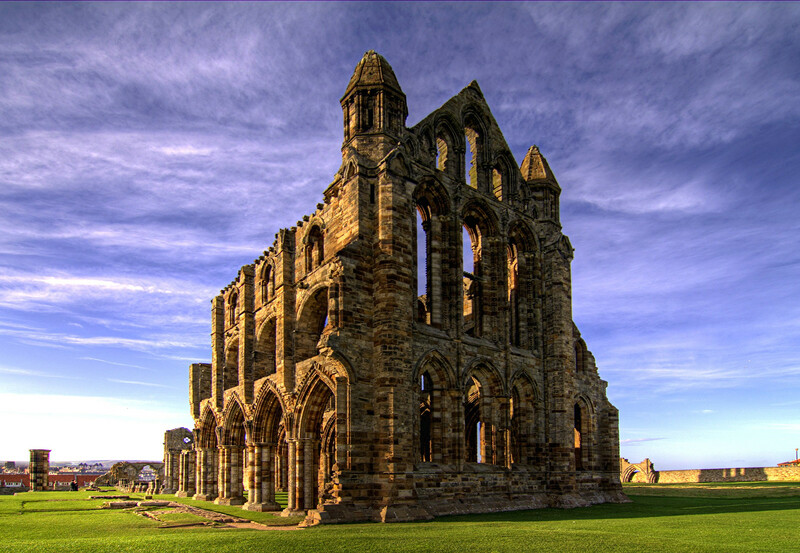 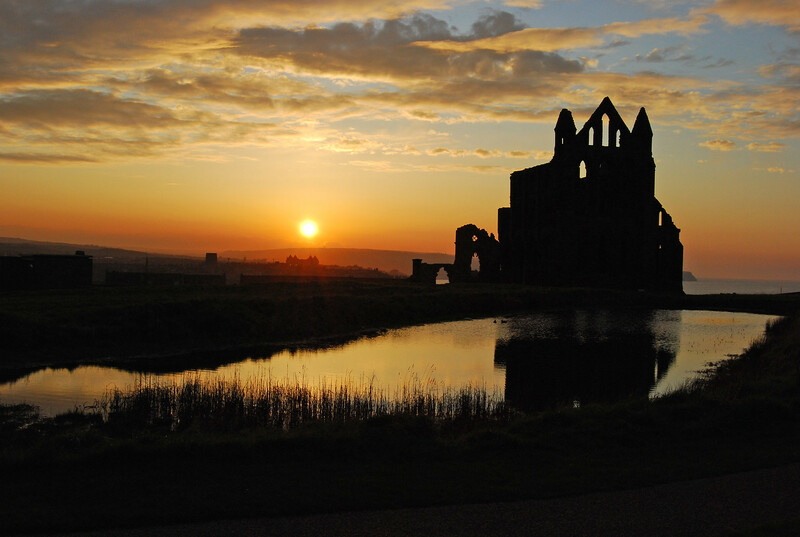 Disestablished during the Dissolution of the Monasteries under Henry VIII, Whitby Abbey is a Grade I (building of exceptional interest) Benedictine abbey in the care of the English Heritage Trust. 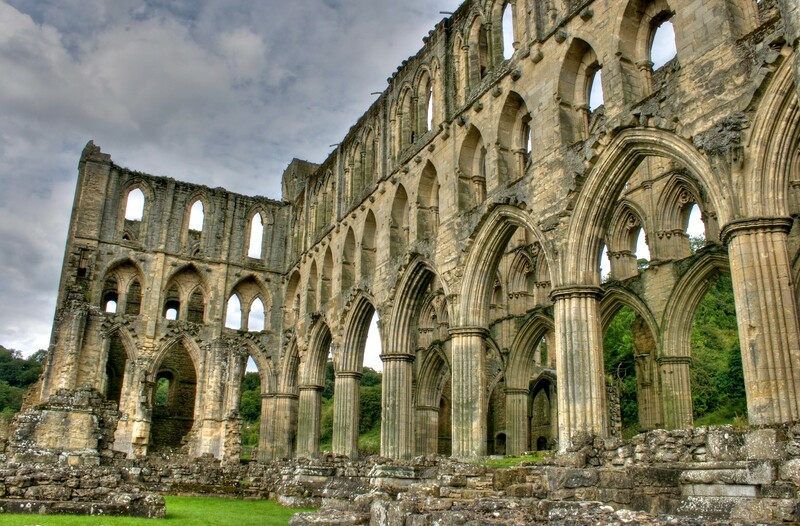 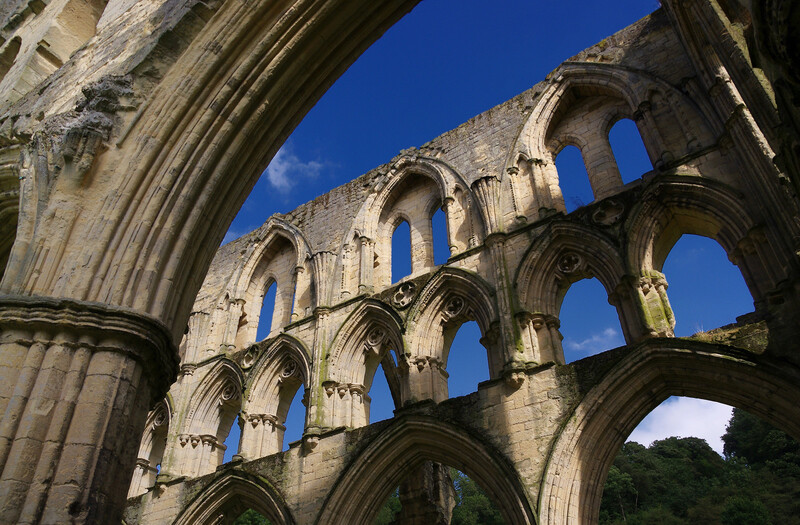 Founded in 1132, Rievaulx Abbey is a former Cistercian abbey in Rievaulx, near Helmsley in the North Yorkshire Moors National Park, England. 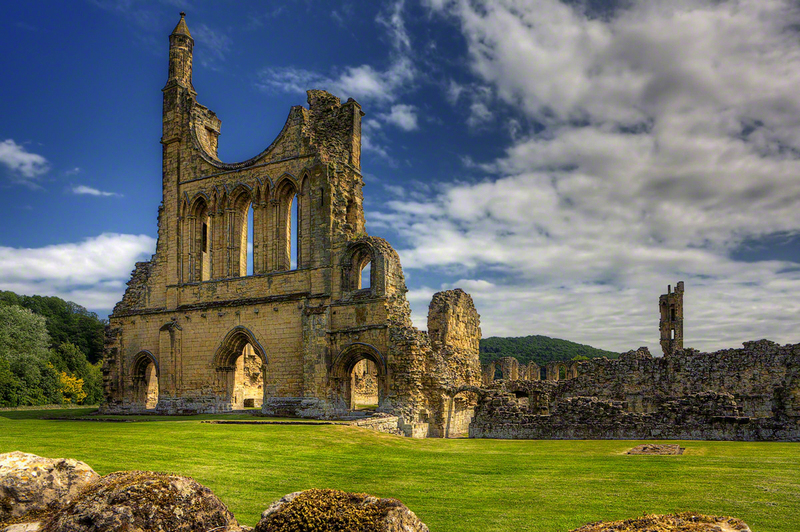 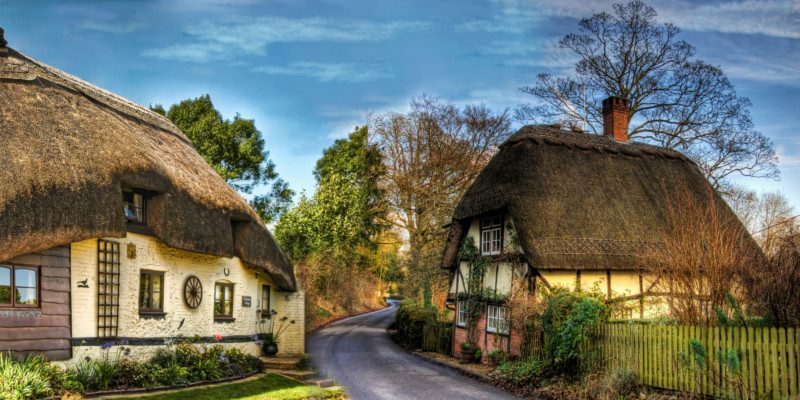 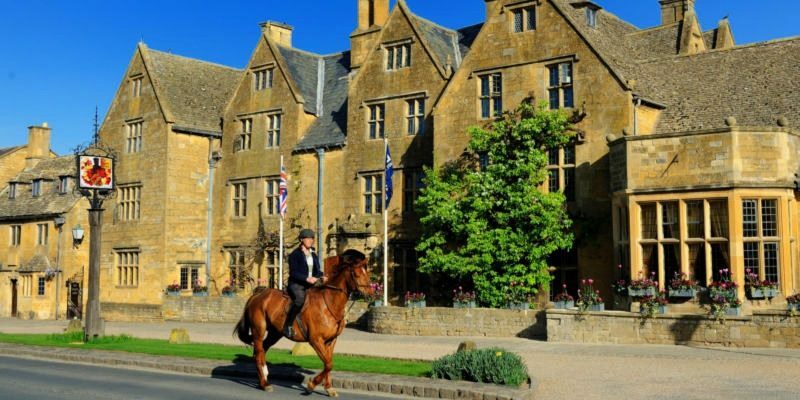 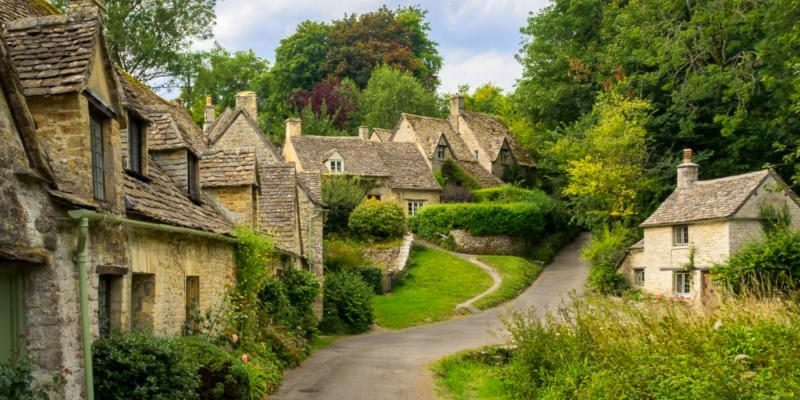 Once one of the wealthiest abbeys in England, it was dissolved by Henry VIII in 1538 and is now owned and maintained by the English Heritage Trust. 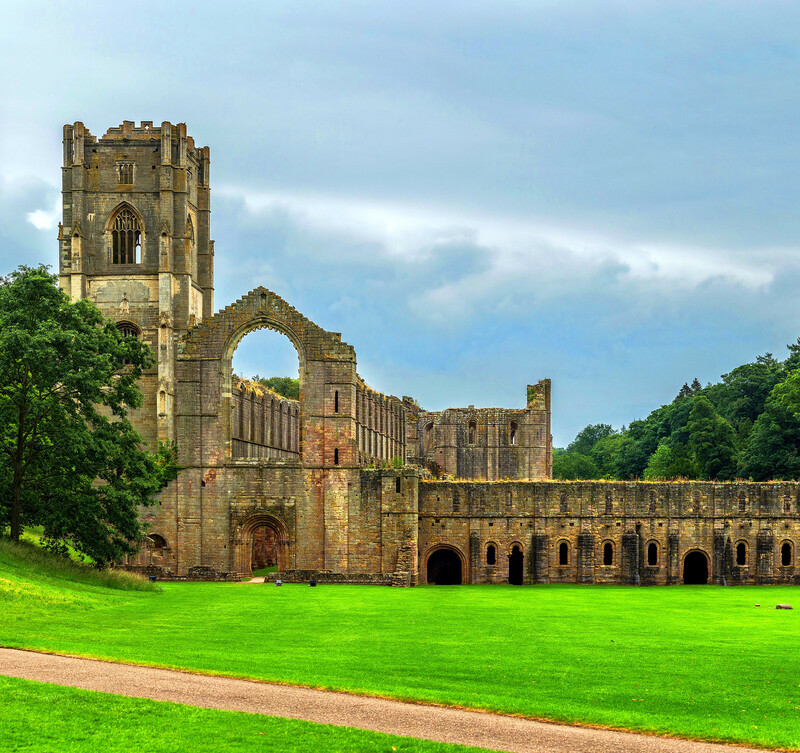 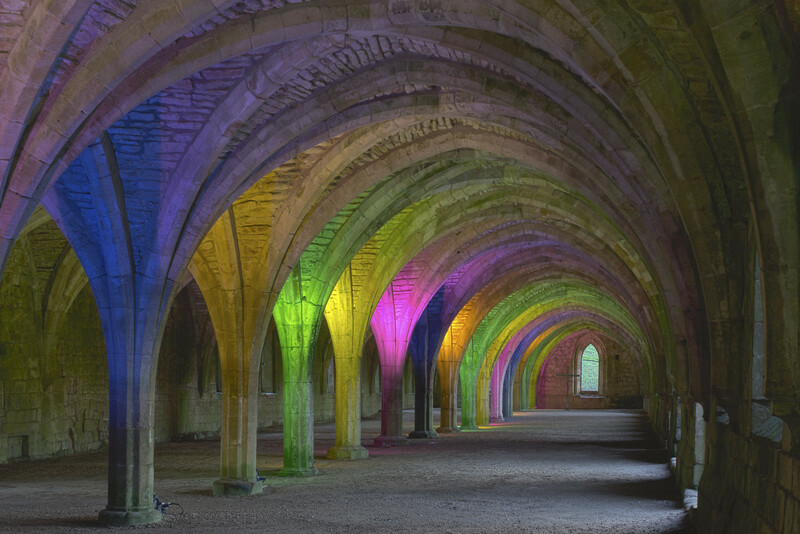 One of the largest and best preserved Cistercian monastery ruins in England, Fountains Abbey is about 3 miles south-west of Ripon in North Yorkshire. 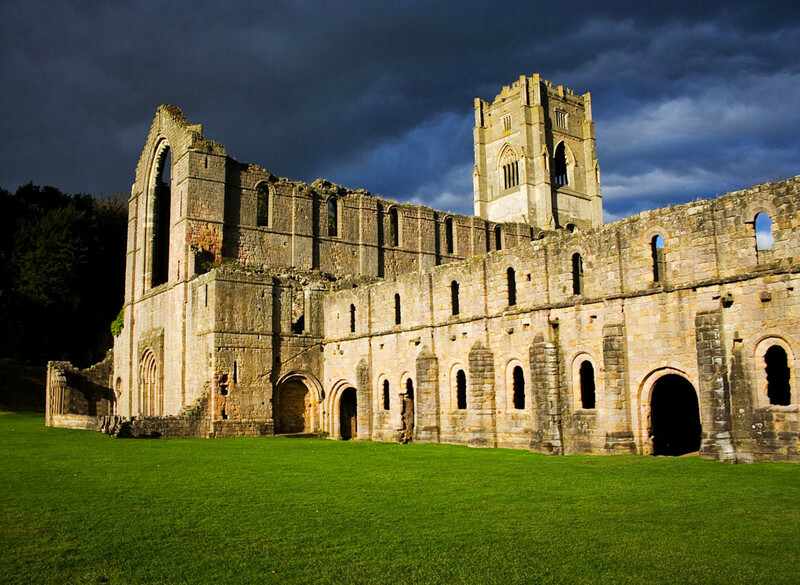 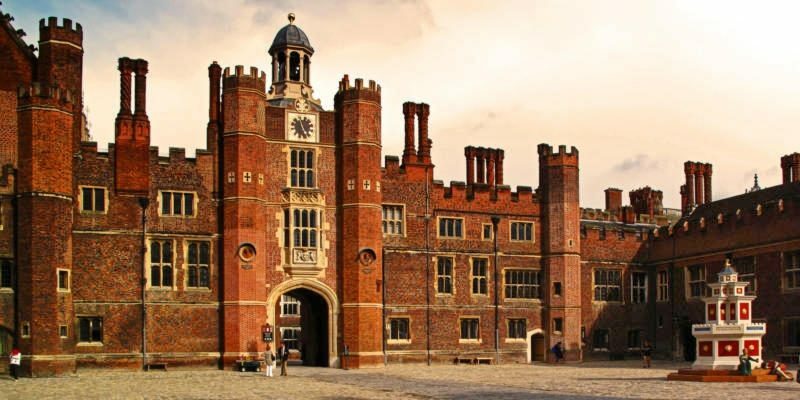 Founded in 1132, the abbey operated for over 400 years, until Henry VIII’s Dissolution of the Monasteries. 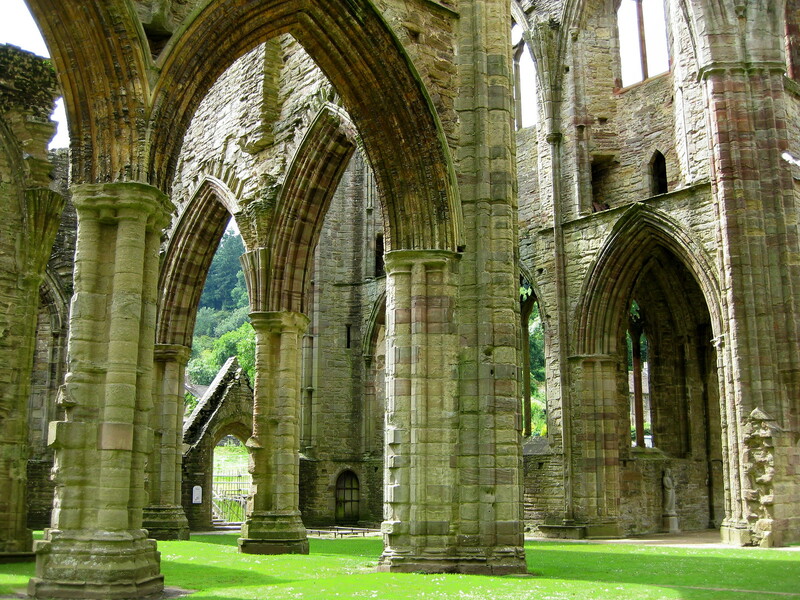 Founded by Walter de Clare, Lord of Chepstow, in 1131, Tintern Abbey sits on the Welsh bank of the River Wye, between Monmouthshire in Wales and Gloucestershire in England. 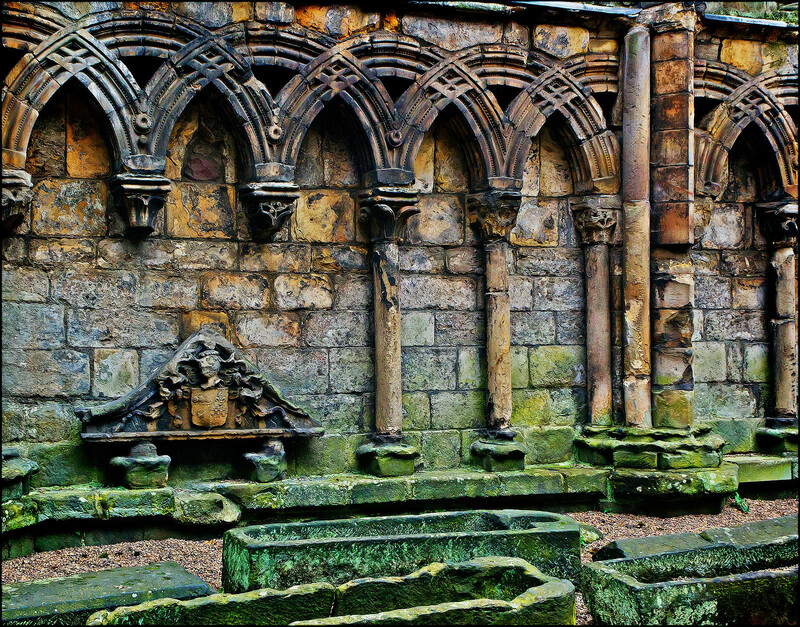 Falling into ruin after the Dissolution of the Monasteries in 1548, the abbey has been a favorite haunt of poets and painters from the 18th century onwards. 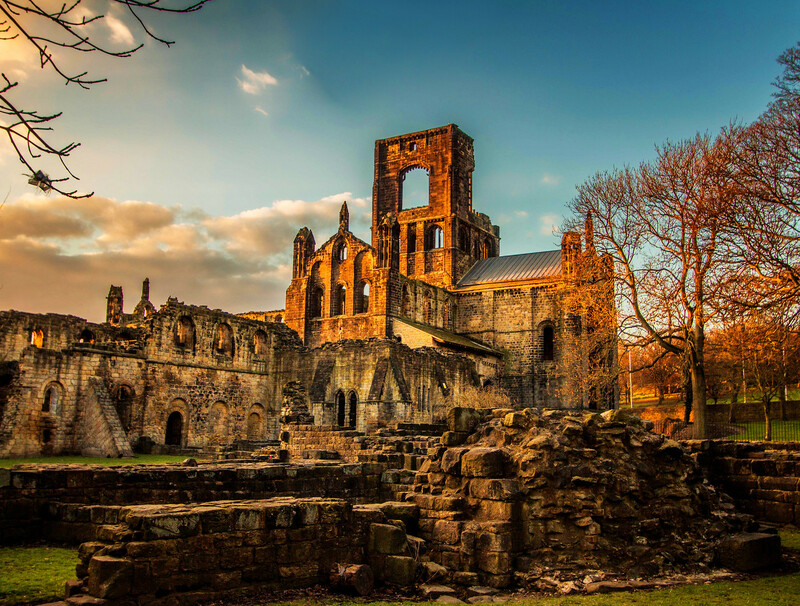 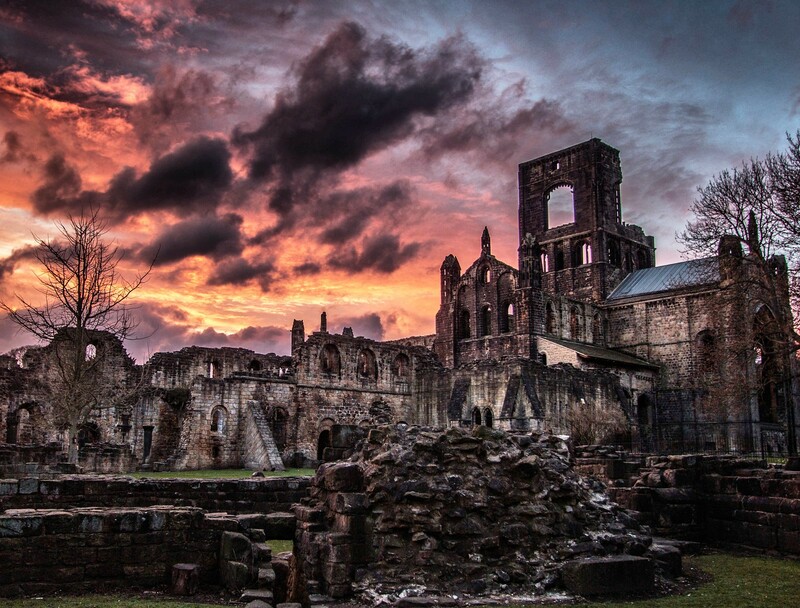 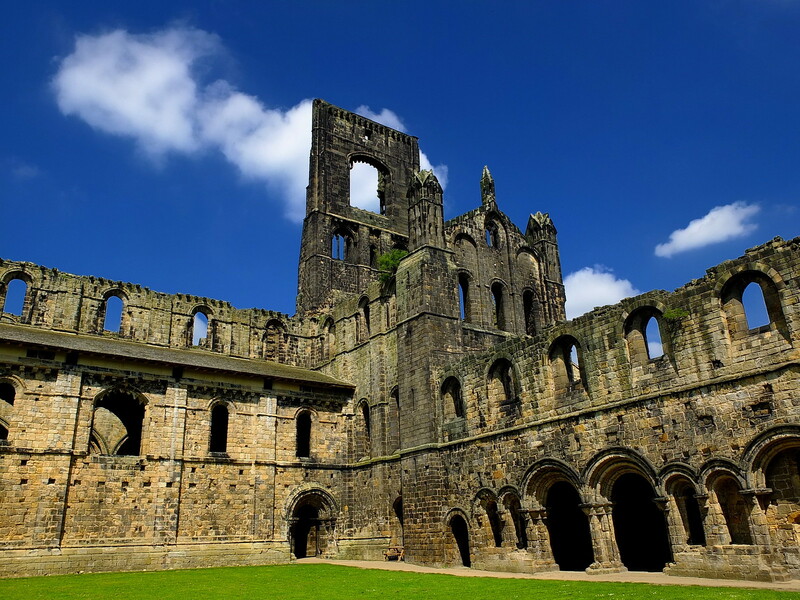 Set in a public park on the north bank of the River Aire, Kirkstall Abbey is a ruined Cistercian monastery near Leeds in West Yorkshire, England. 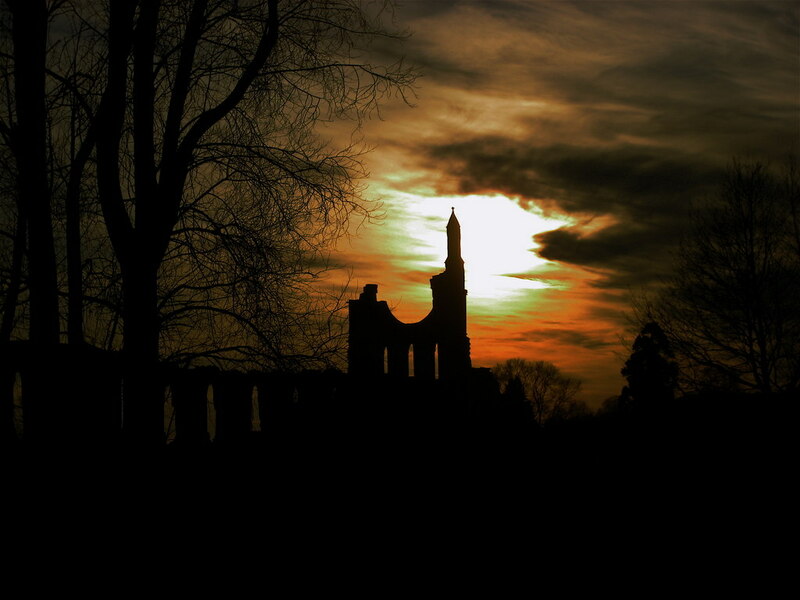 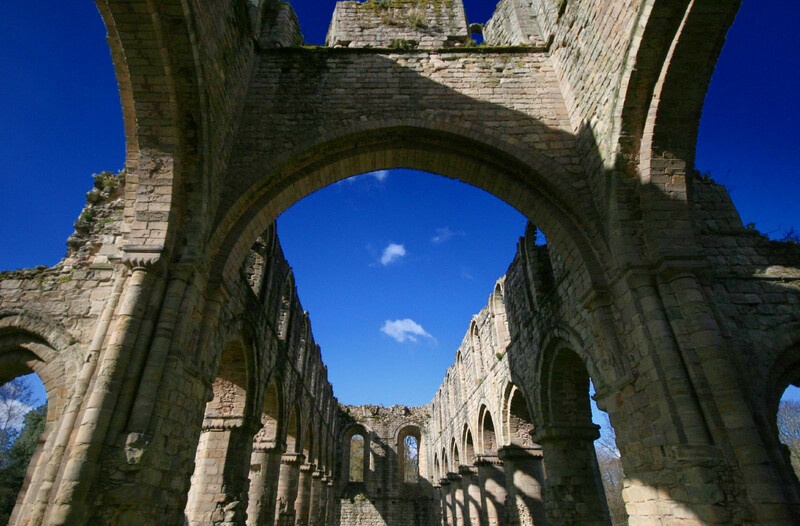 Founded in 1152 and dissolved by Henry VIII, the picturesque ruins have been the subject of works by artists J.M.W. 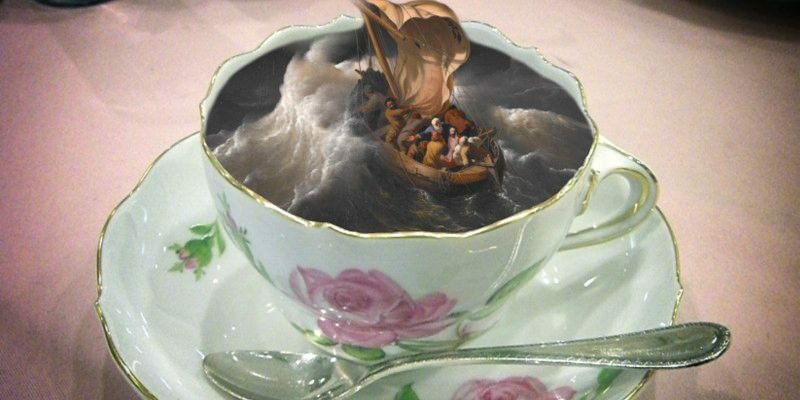 Turner, Thomas Girtin and John Sell Cotman. 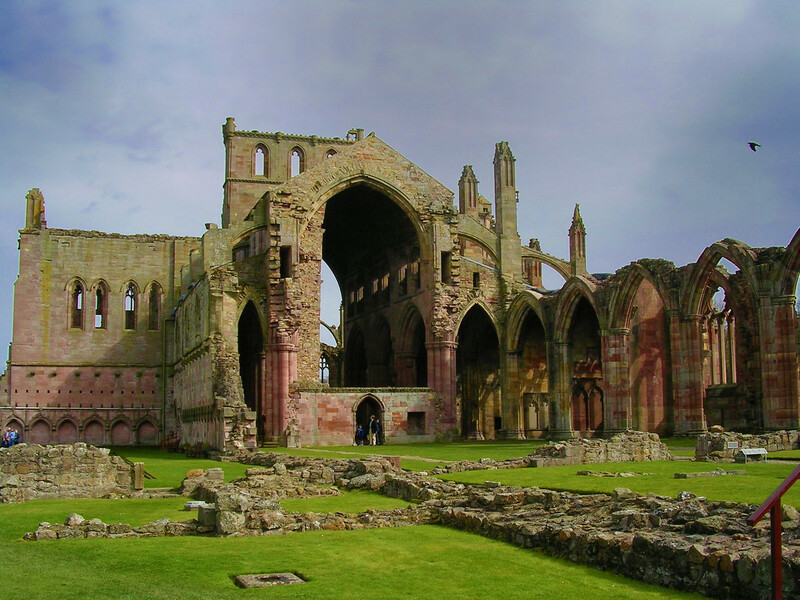 Founded in 1135 by Roger de Clinton, Bishop of Coventry (1129–1148), the Cistercian Buildwas Abbey was originally a Savignac monastery inhabited by a small community of monks from Furness Abbey. 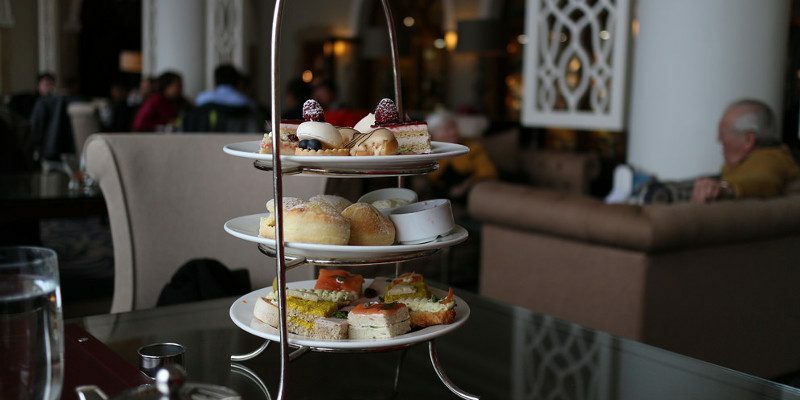 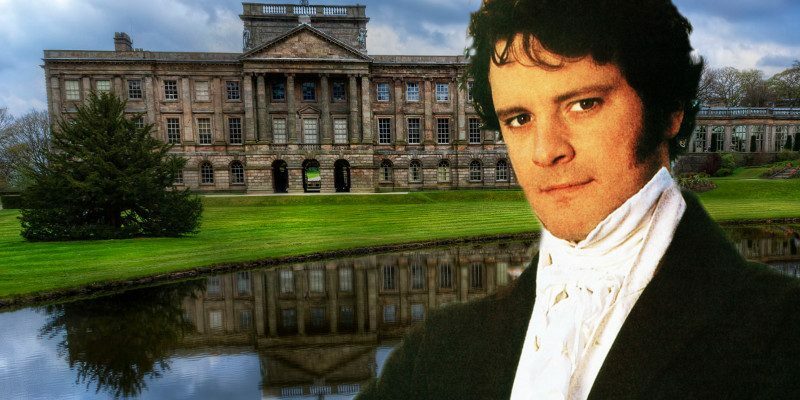 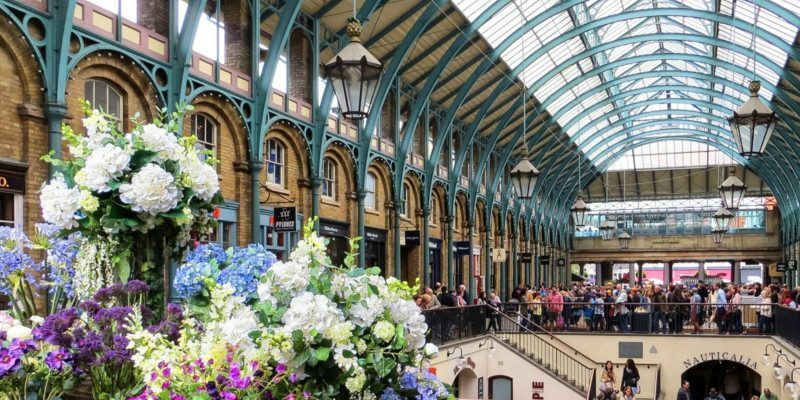 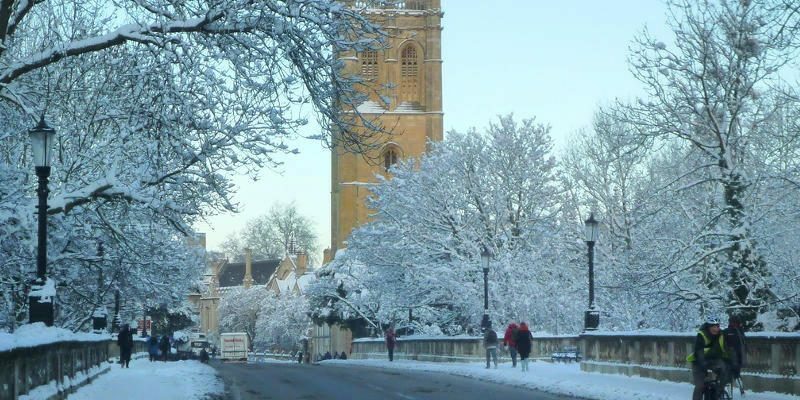 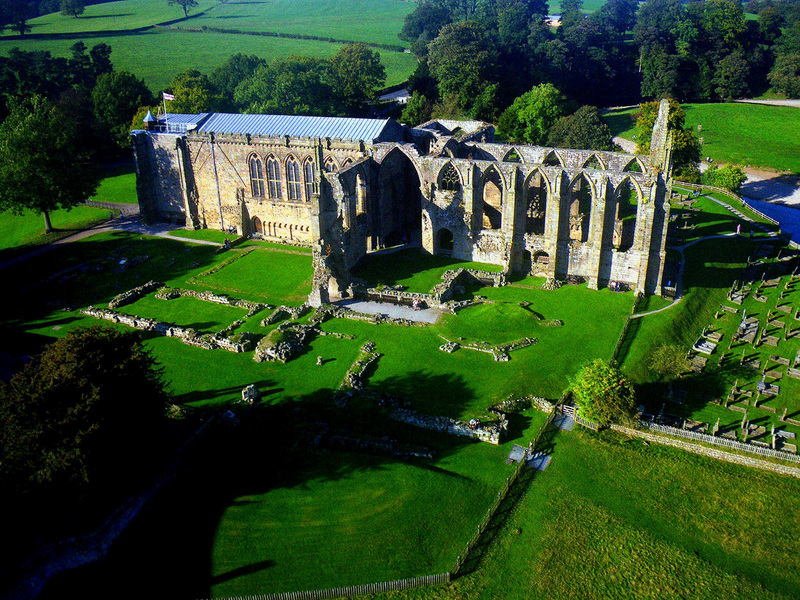 The abbey has a storied history, with intrigue to rival the famous “Name of the Rose”. 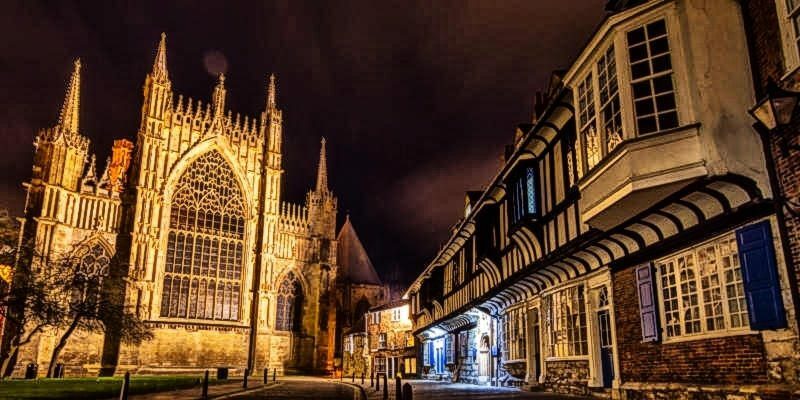 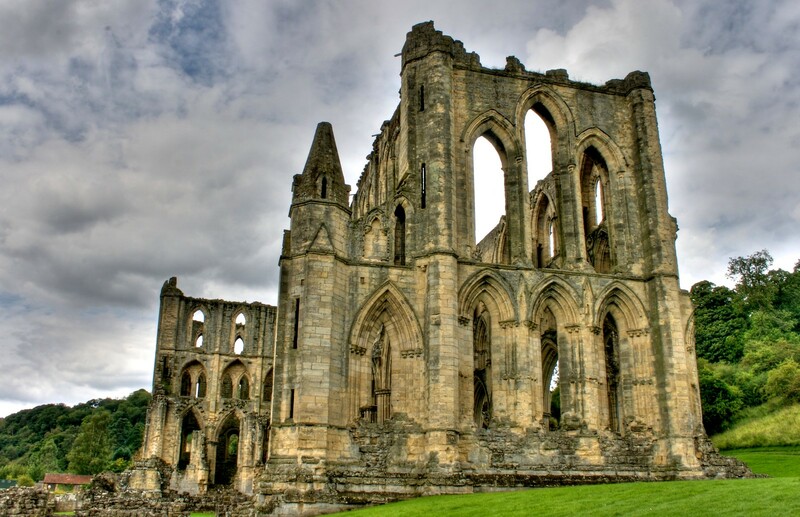 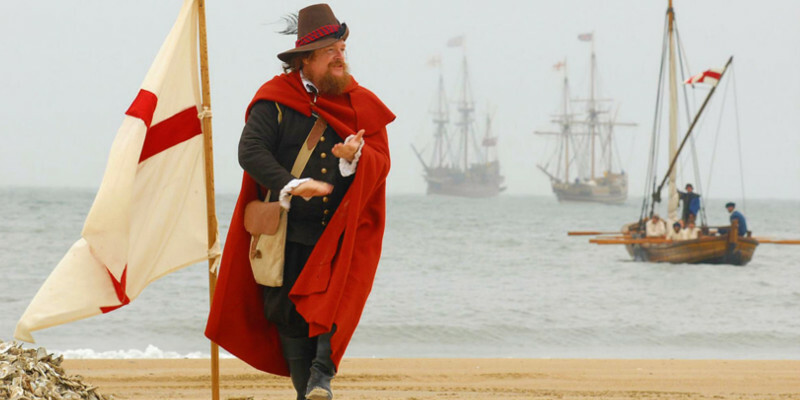 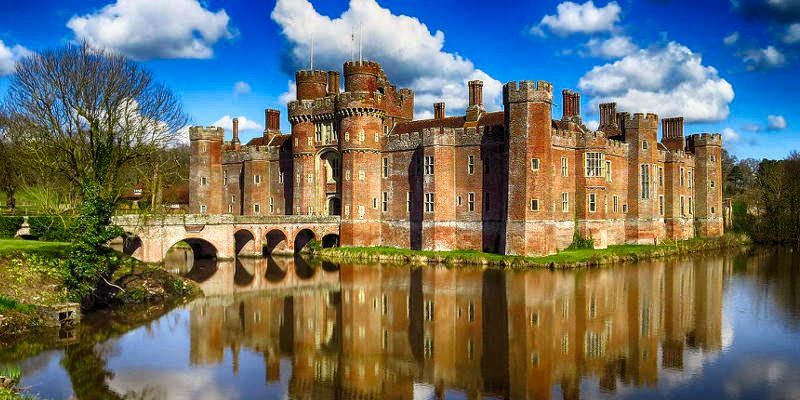 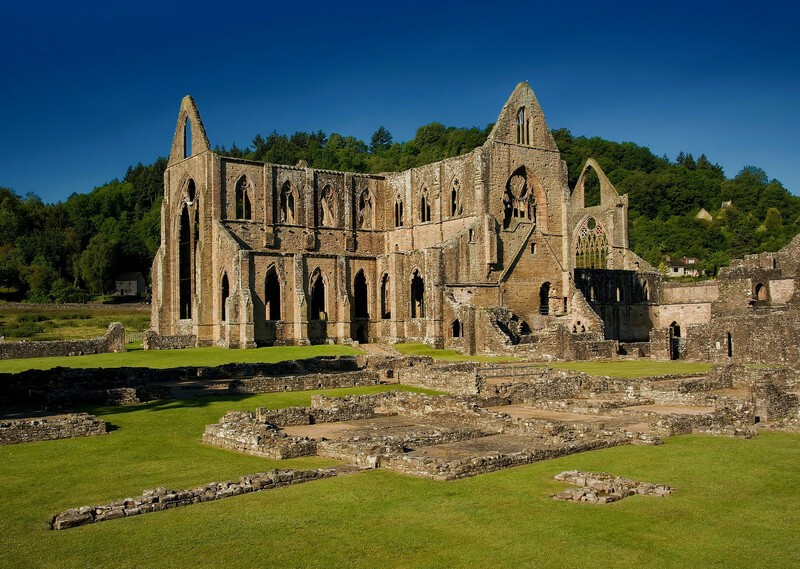 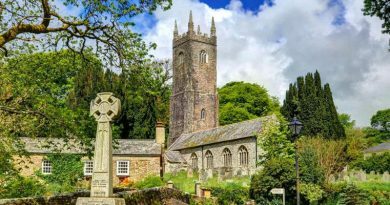 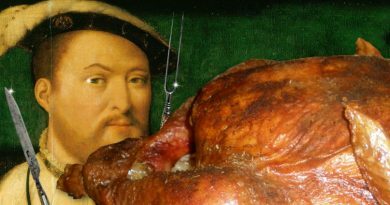 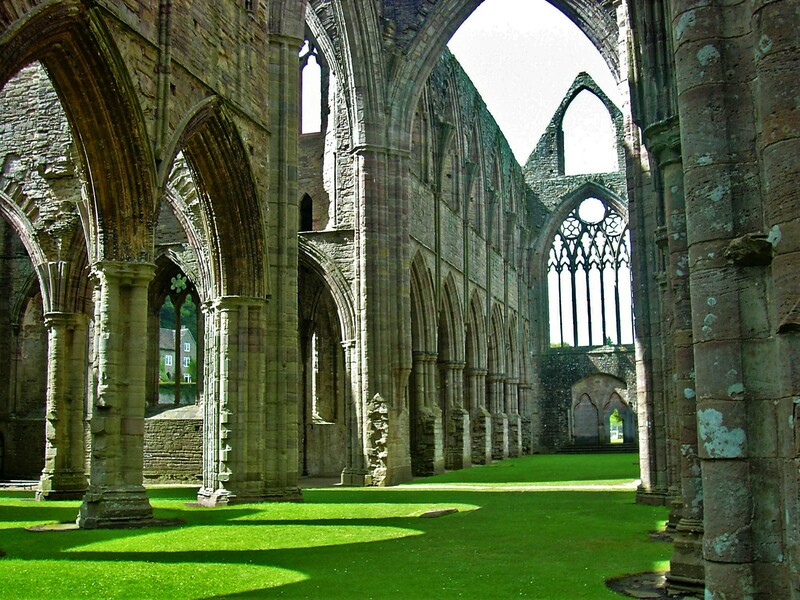 Frequently raided by Welsh princes who also kidnapped the abbot, there was a case where a monk murdered his abbot and, having evaded arrest, petitioned for reinstatement into the Cistercian order. 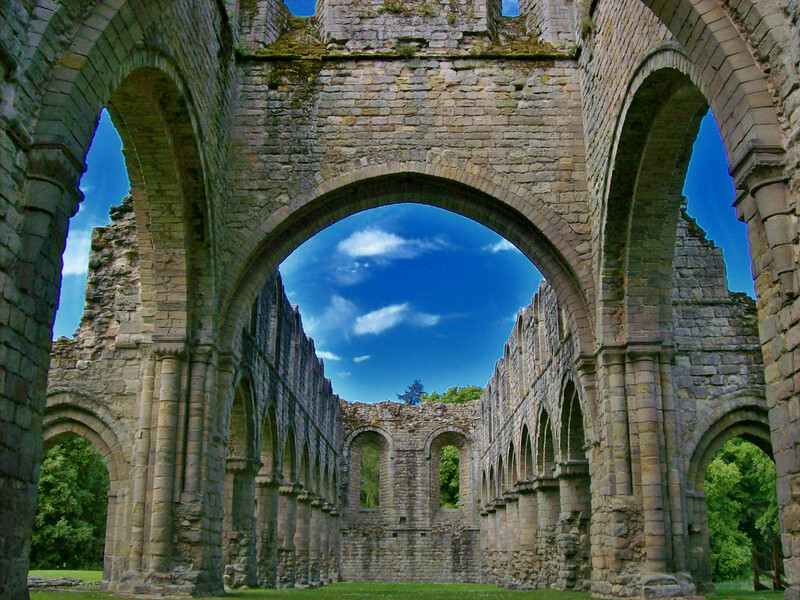 Founded as a Savignac abbey in 1135, Byland Abbey was absorbed into the Cistercian order in 1147. 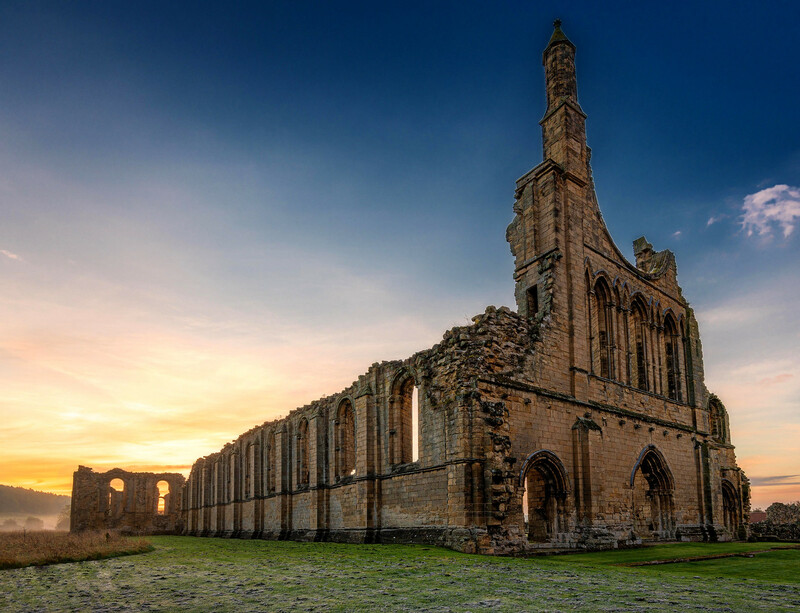 Described in the late 14th century as “one of the three shining lights of the north”, it wasn’t always so for Byland Abbey. 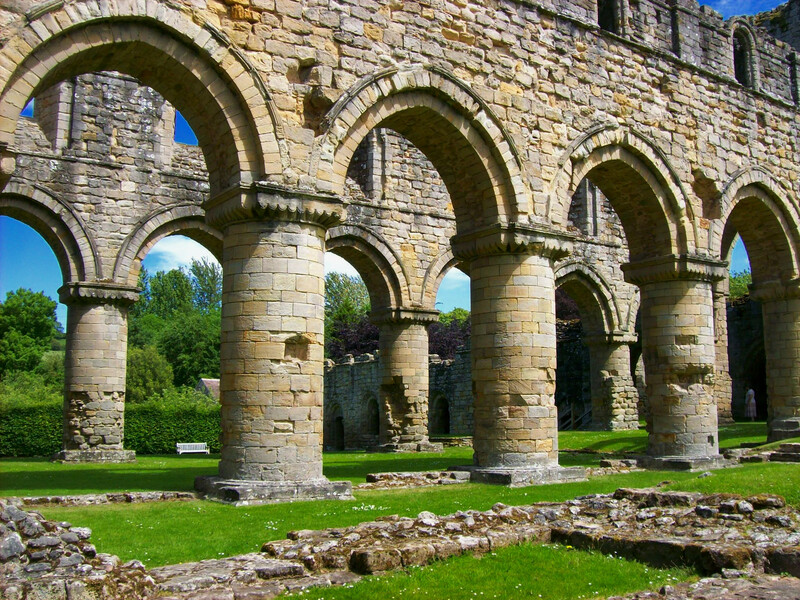 Its early life was marked by disputes with other abbeys and the whole abbey community had to move five times before settling on Byland. 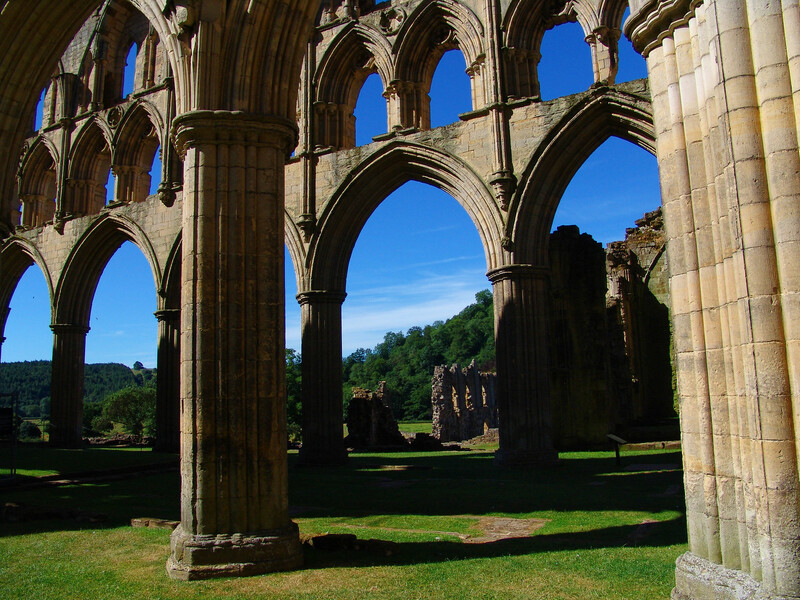 Now in the care of the English Heritage Trust, Byland has some impressive features including the lower half of a huge rose window and a stone lectern which is the only one of its kind in Britain. 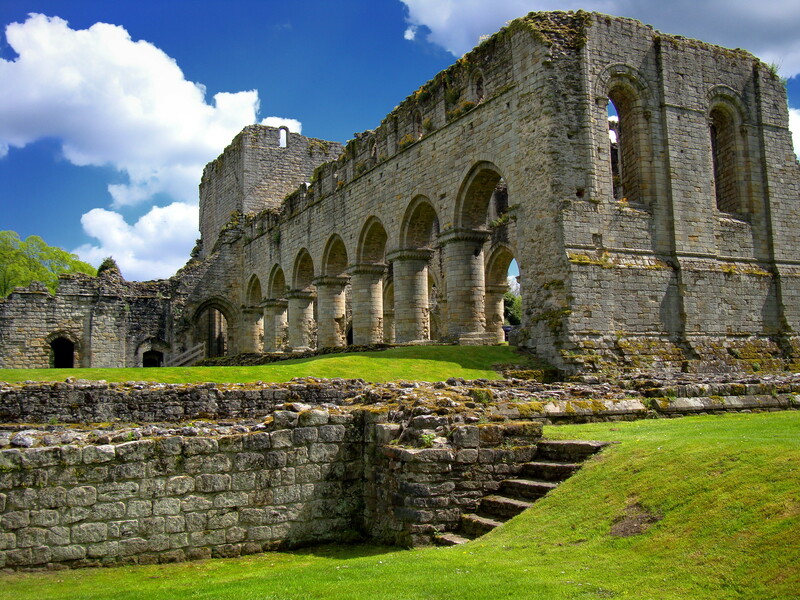 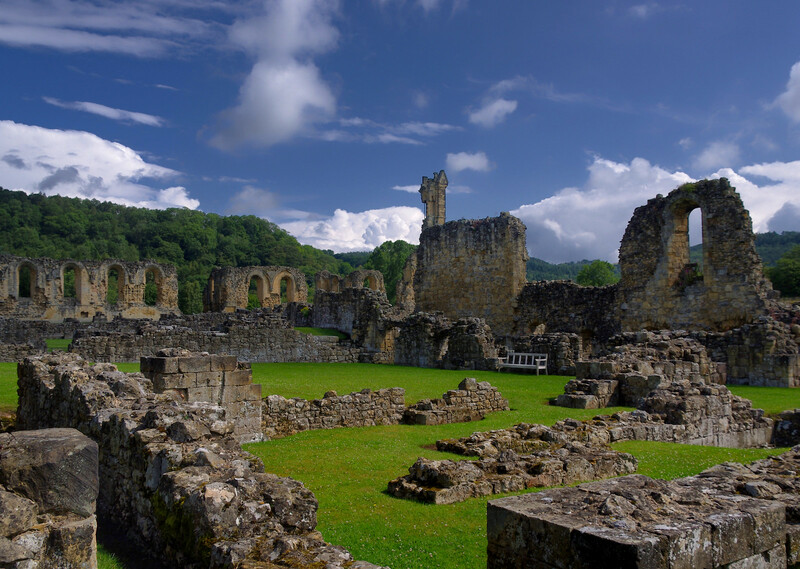 Nestled in the rolling landscape of the Yorkshire Dales sits the 12th-century ruins of an Augustinian monastery. 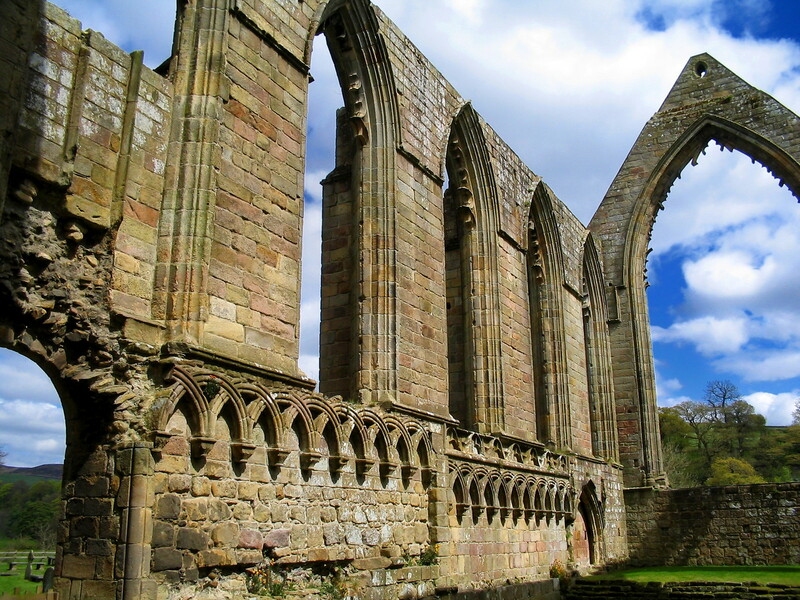 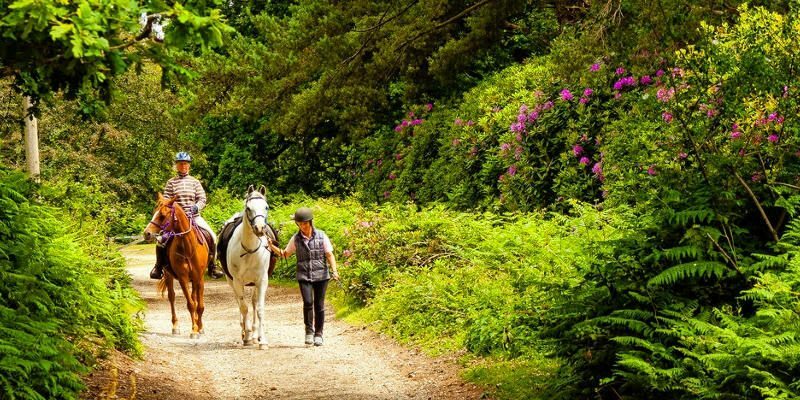 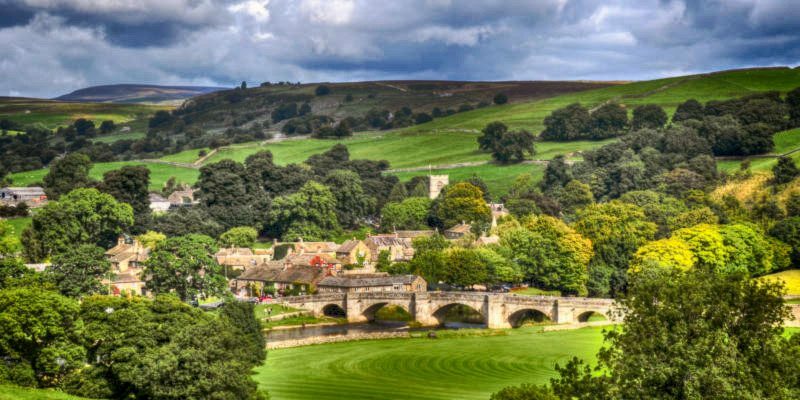 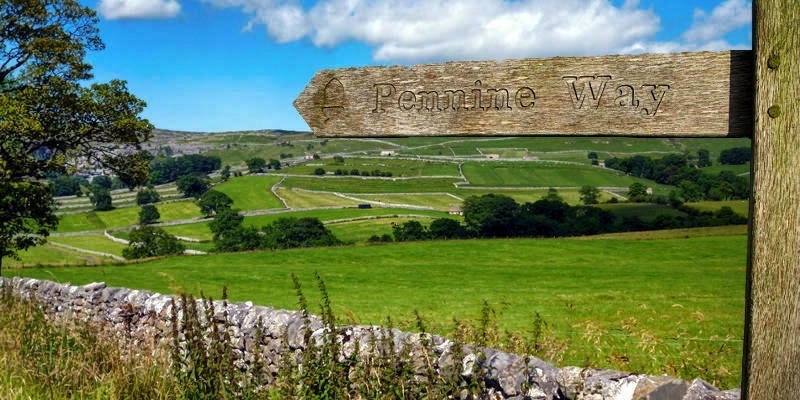 The Bolton Abbey estate includes many miles of public pathways through beautiful countryside. 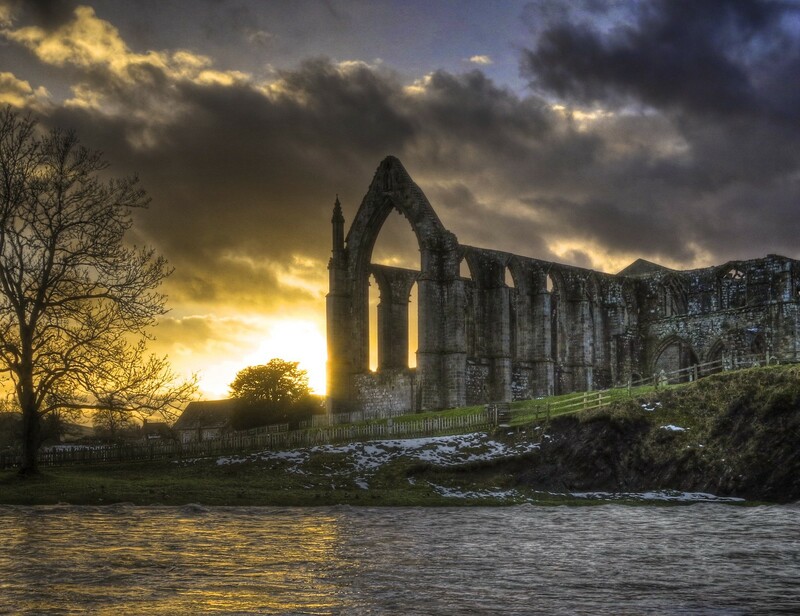 The Embsay and Bolton Abbey Steam Railway terminates at a nearby village. 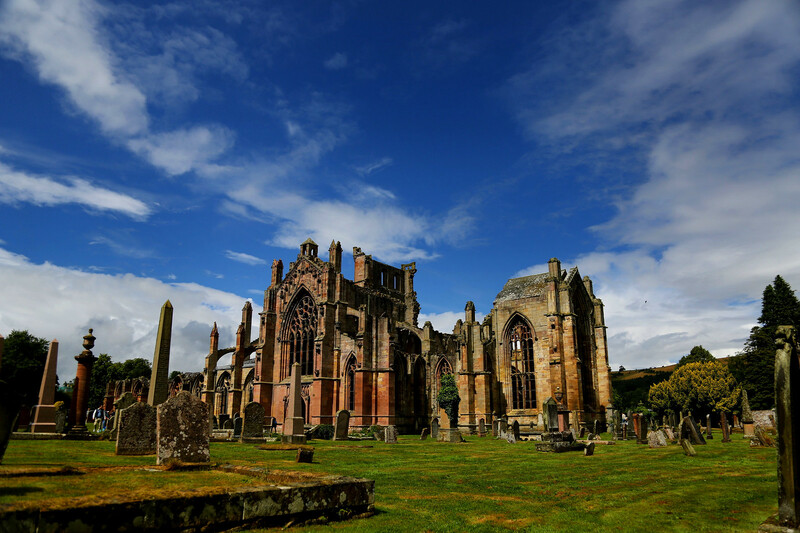 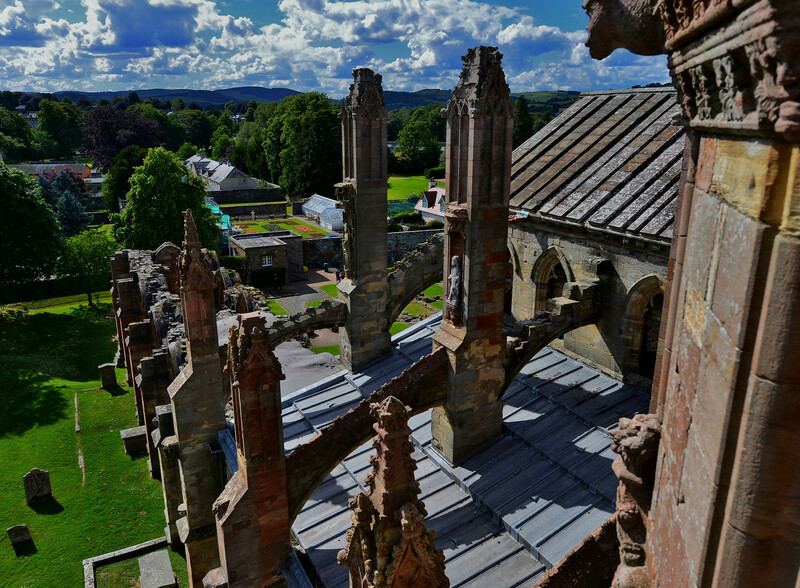 Founded in 1136 by Cistercian monks on the orders of King David I of Scotland, Melrose Abbey was built in the Gothic style in the form of a St. John’s cross. 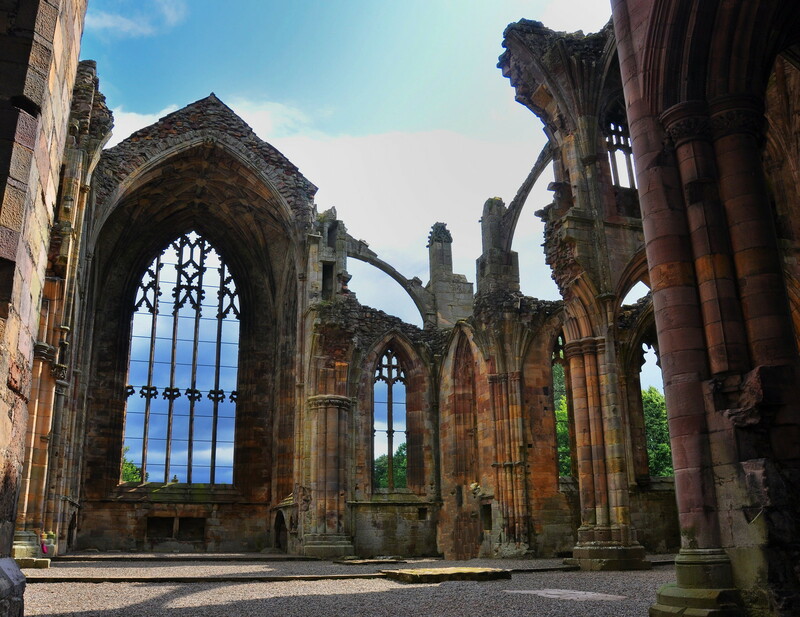 In 1921, an amazing discovery was made below the Chapter House of Melrose Abbey. 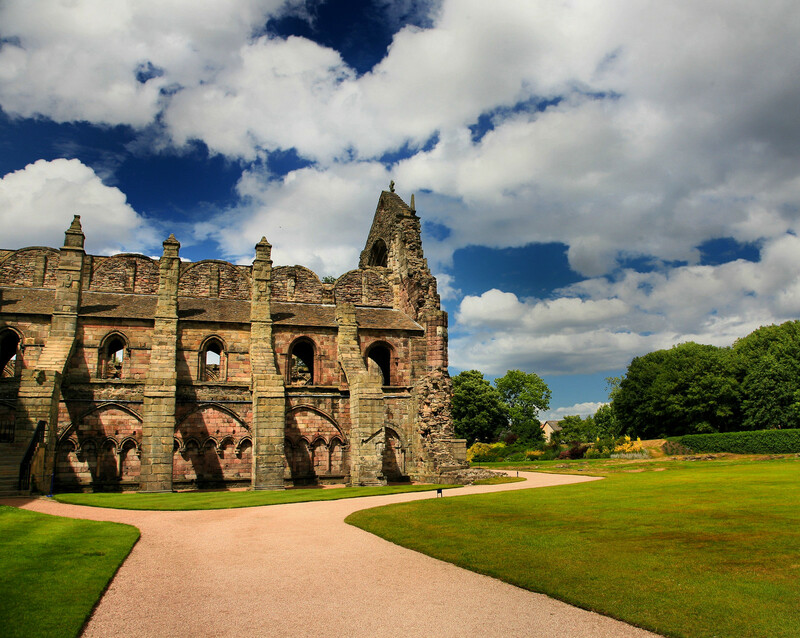 Held inside a lead container was believed to be the embalmed heart of Robert the Bruce. 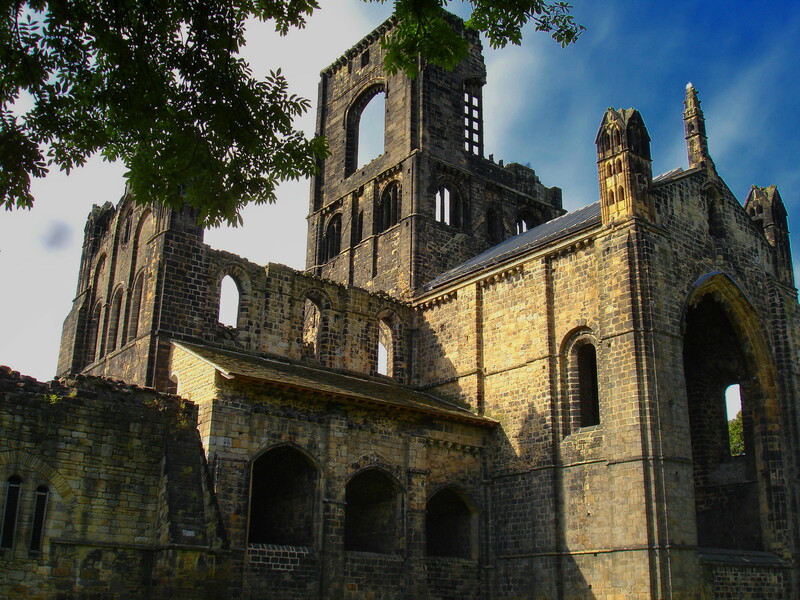 Confirmed in records of his death, the rest of his body is buried at Dunfermline Abbey. 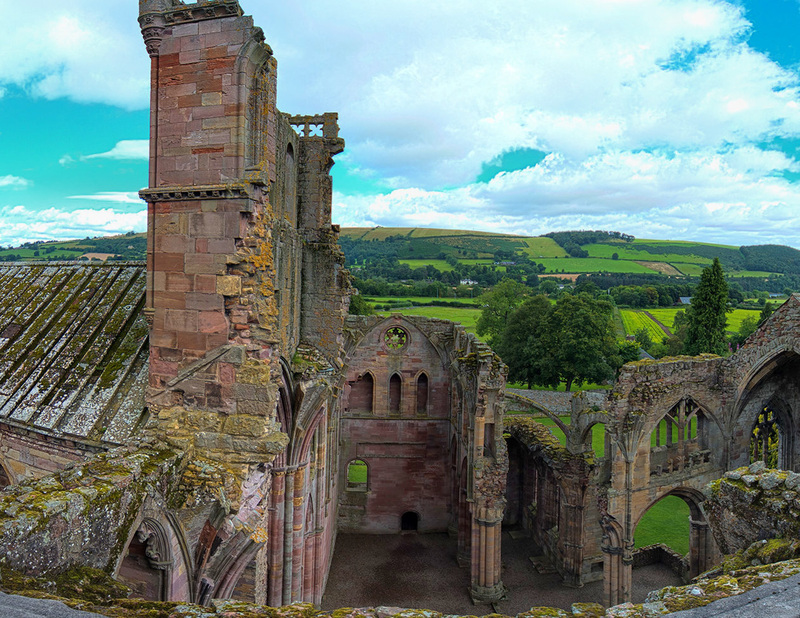 Alexander II and other Scottish kings and nobles are buried at Melrose. 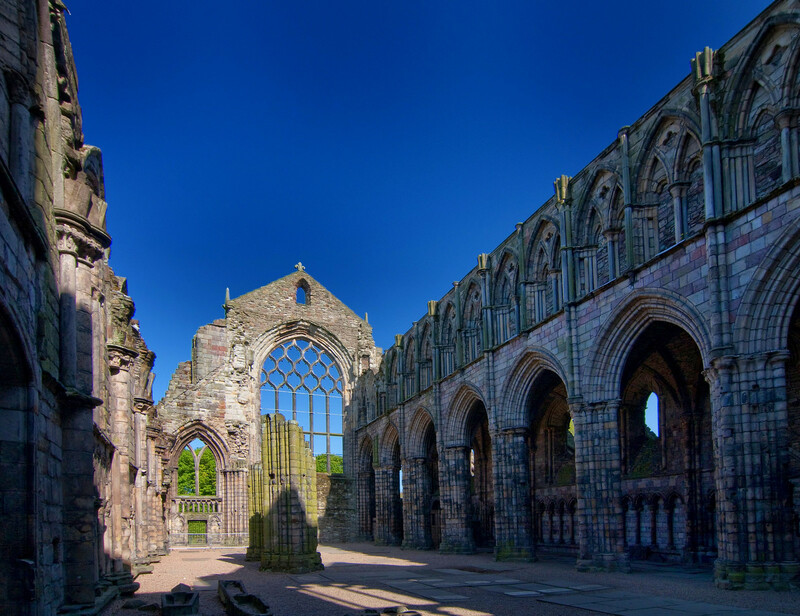 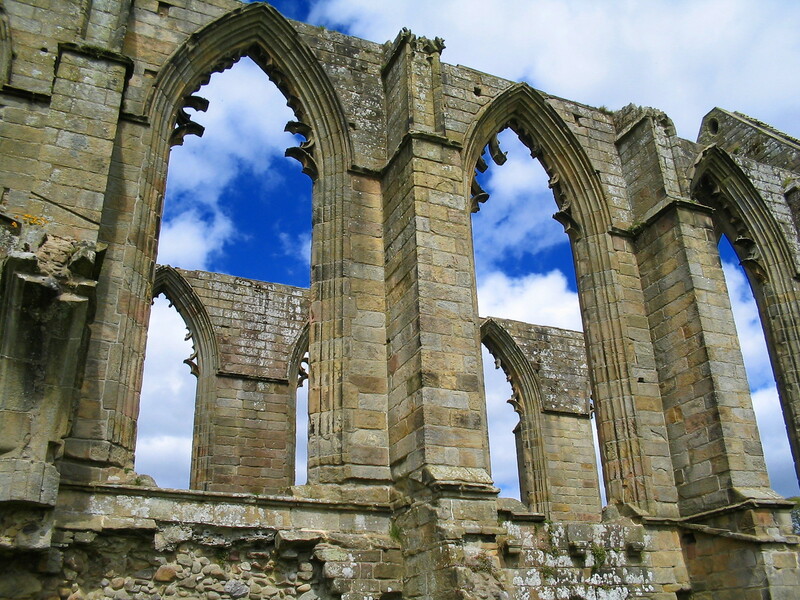 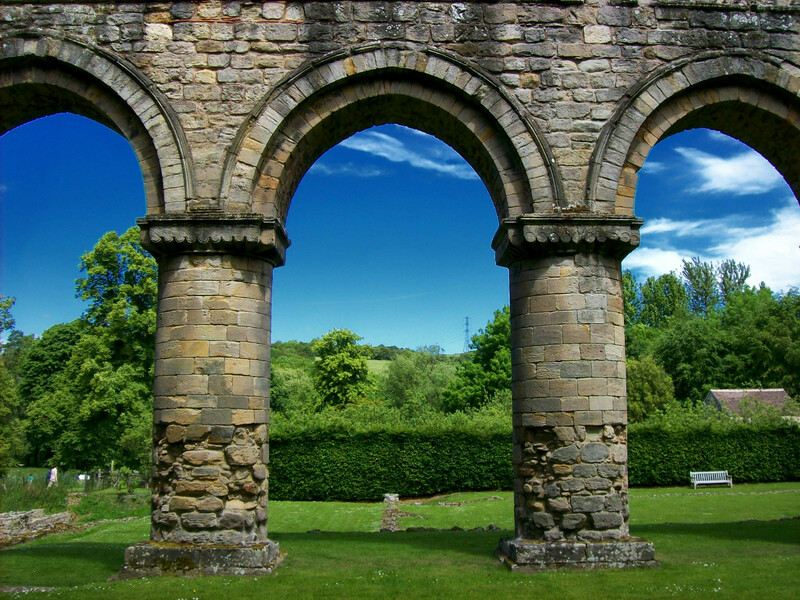 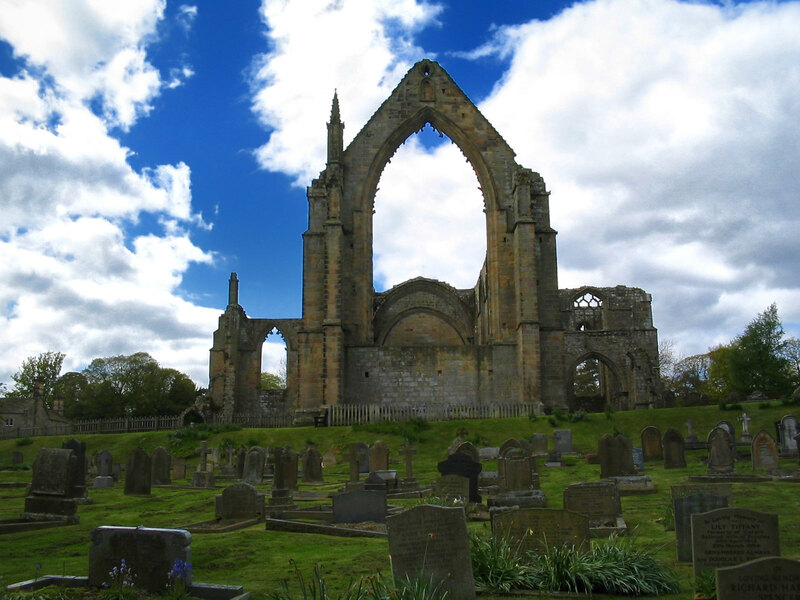 Maintained by Historic Scotland, the partly ruined monastery is a museum open to the public. 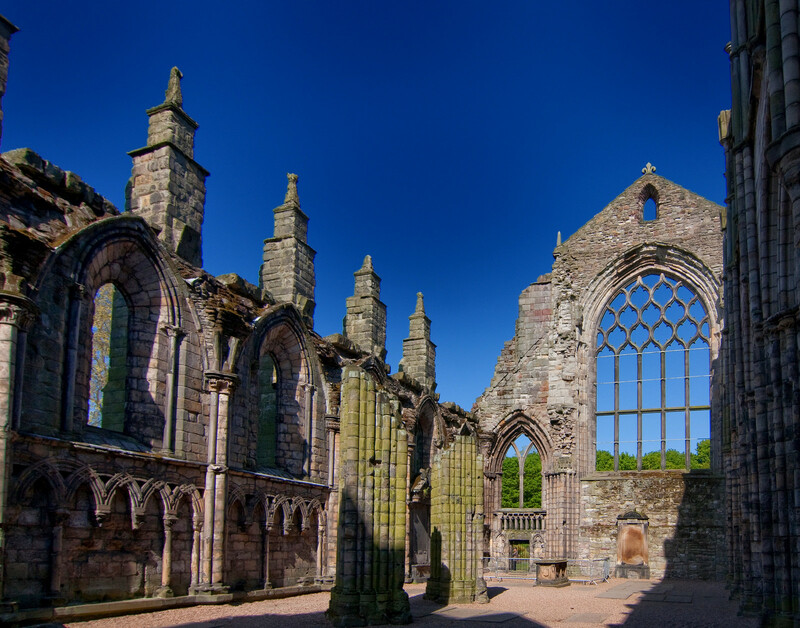 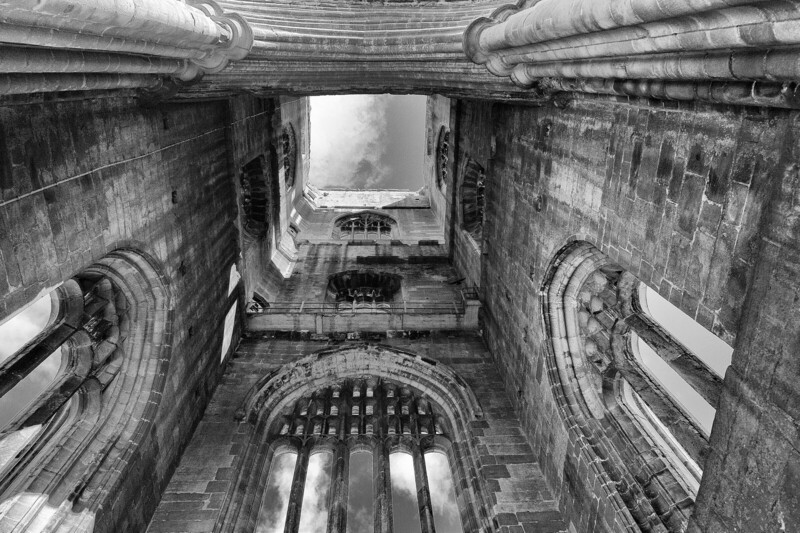 Founded in 1128 at the behest of King David I, Holyrood Abbey was home to the Canons Regular in Edinburgh, Scotland. 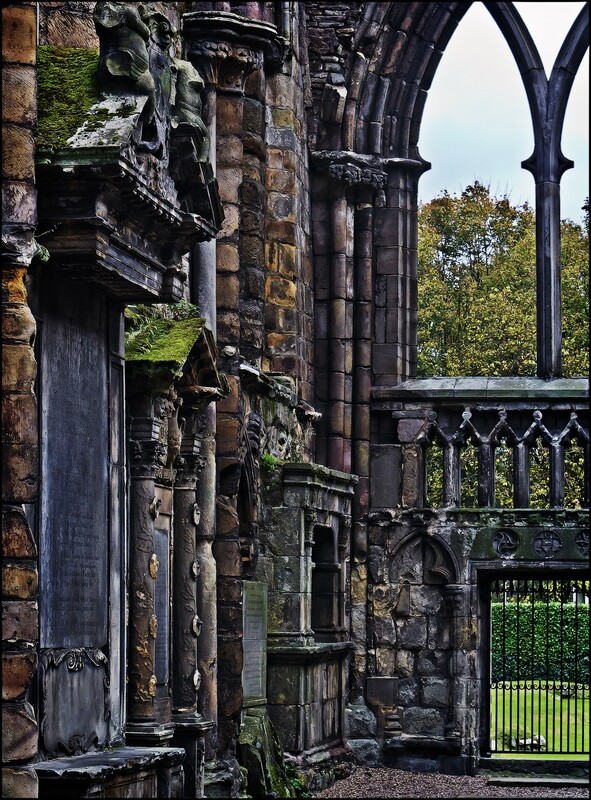 Lying adjacent to Holyrood Palace at the eastern end of the Royal Mile, the Abbey lost prominence following the Scottish Reformation and has been ruined since the 18th century. 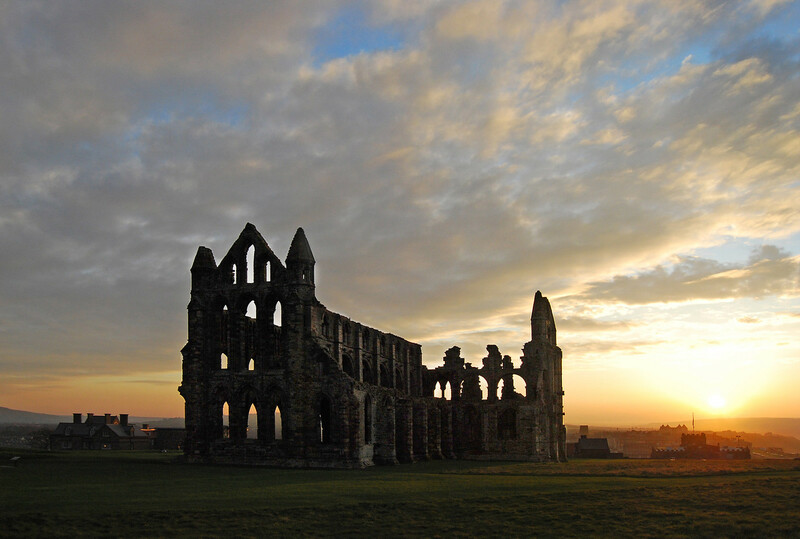 The abbey is protected as a scheduled monument.